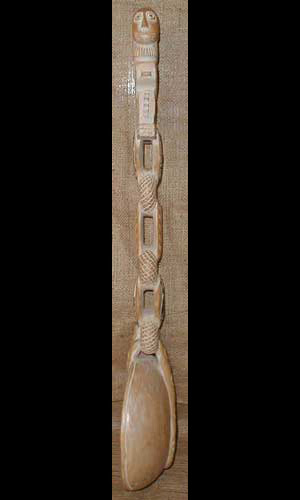 This ceremonial spoon from the Ashanti people of Ghana, Togo and the Ivory Coast is 25 inches tall, and 7 3/4 inches wide at the bowl. 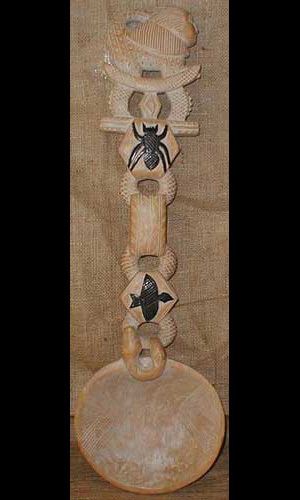 The elevation of everyday objects into works of beauty is typical of African art; and the Ashanti spoon is a classic example. 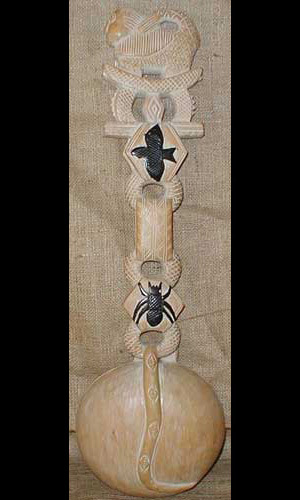 Owned by the revered matriarch of a clan, this large spoon signifies her nurturing role in traditional Ashanti society.